Onda V10 Pro viene con MTK 8173 Cortex-A53x2 Cortex-A72x2 Quad Core 2.0GHz CPU procesador. Incluído 1 xOnda V10 Pro Tableta. Y Phoenix OS Android 6.0 sistema. Adopta 4GB DDR3 RAM y 64GB eMMC almacenaje permiten que la tableta funcione sin problemas. Verifica que las fotos del producto se corresponden con la idea que tienes sobre él. 14 días de. Estamos para ayudarte. Disponibilidad: En existencia. EVIDENTES SINAIS DE USO. RANURA SDSI. DESCRIPCION CORTAEVIDENTES SIGNOS DE USO. We can easily say that Onda V919 Air CH is one of the best looking tablet in its class. Onda V919 matches Apple iPad Air's picture quality which is the benchmark for all tablets. This screen also supports 4K/UltraHD videos and it is truly a pleasure to watch 4K/UltraHD videos on the V919. We can easily say that Onda V919 3G Air is one of the best looking tablet in its class. Onda V919 matches Apple iPad Air's picture quality which is the benchmark for all tablets. This screen also supports 4K/UltraHD videos and it is truly a pleasure to watch 4K/UltraHD videos on the V919. Model: ONDA V80 Plus. - 1 x ONDA V80 Plus Tablet PC. - ROM: 32GB. - 1 x TF Card Slot. - RAM: 2GB. - OS: Android 5.1. - WiFi: 802.11b, 802.11g, 802.11n, Support, 2.4GHz. - Bluetooth: V4.0. Model V80 Basic Edition. Support an external Micro SD card, up to 128GB (not included). - 1 x Onda V80 Tablet PC. ROM: 16GB. Allwinner A64 Quad Core 1.3GHz CPU. - ROM 16GB. - CPU Allwinner A64 Quad Core 1.3GHz. Onda V80 SE Android Tablet PC. Added to that, this Android tablet also features a sophisticated 2GB of RAM, bringing along plenty of power to engage in multitasking sessions without slowing down your device. CPU Allwinner A64 Quad-Core 64-bit 1.83GHz. - Model V80 SE 32GB. Unique ONDA ROM 2.0 OS based on powerful Android 5.1, distinctive design yet simple operation. 2 32GB Storage, support 128GB TF card. CPU MTK6753 Octa Core 1.3GHz. - Model: V10 4G. Unique ONDA ROM 2.0 OS based on powerful Android 7.0. 2 32GB storage, support 128GB Micro SD / TF card. Dual SIM card, dual standby, convenient for your daily calling or SMS sending needs. Onda OBook 20 Plus Dual-OS Tablet PC. Built for speed and efficient usage, this Quad-Core CPU that reaches speeds up to 1.84GHz is sure to handle whatever you throw at it. By supporting OTG, this beautiful device allows you to attach external hardware devices to your tablet, further increasing your overall user experience. Onda has just released the latest generation of the popular V10 Pro. Onda V10 Pro Tablet PC. that's why its equipped with dual-band Wi-Fi. OS Version: Phoenix OS Android 6.0. Quad-Core 2GHz CPU, PowerVR GPU and 4GB RAM for a lag-free user experience. CPU MTK6753 Octa Core 1.3GHz. Unique ONDA ROM 2.0 OS based on powerful Android 7.0, distinctive design yet simple operation. - Model V10 4G. 3 32GB storage, support 128GB Micro SD / TF card (Micro SD / TF card not included). Onda V18 Pro supports Wifi, Bluetooth, OTG. Included 1 x Onda V18 Pro Tablet. Model Onda V18 Pro. CPU Allwinner A63 (Cortex-A53 x 4) Quad Core 1.8GHz. Storage: 64GB. and Android 7.1 system. 4GB DDR3 RAM and 64GB eMMC Storage enables sommoth running of the tablet. Onda V10 Plus Tablet PC. 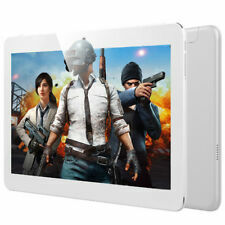 7" 8GB Android4.4 Quad Core 3G 2 Cam WIFI Tablet PC TF 64GB For Kid Bundle Case. ● 2GB RAM 32GB ROM. ● System: Android 6.0. ● Dual Band 2.4GHz / 5.0GHz WiFi. ● MTK8173 Quad Core 2.0GHz. Onda V10 Dual 4G Phablet. 1 x Onda V10 4G Tablet PC. It is better than 2.4 GHz WiFi congested increasingly. Now you don't have to worry that you'll be lost or will not find the location for which you are looking. NEW ONDA OBOOK 20 PLUS 4GB 64GB. 1x Onda Obook 20 Plus Tablet. WINDOWS 10 REMIX 2.0, ANDROID 5.1 DUAL OS. 2 in 1 Windows Android Tablet PC, one cilck to warm boot the Windows 10 and Remix 2.0 Android 5.1. Core 2.3GHz,Deca Core. ● OS: Android 7.1. OS Android 7.1. Type Tablet PC. Support Network Dual WiFi 2.4GHz / 5.0GHz. WIFI 802.11 a / b / g / n / ac wireless internet. Tablet PC 1. 600ml Electric Water Jet Pick Flosser Oral Irrigator Teeth Cleaning Dental Clean. Core 2.3GHz,Deca Core. Ovonni Water Flosser Oral Irrigator Gum SPA Teeth Cleaner Floss Dental Water Jet. ● OS: Android 7.1. OS Android 7.1. Type Tablet PC. Support Network Dual WiFi 2.4GHz / 5.0GHz. WIFI 802.11 a / b / g / n / ac wireless internet. NEW ONDA V10 PRO 4GB 64GB. 4GB RAM 64GB ROM. 1x Onda V10 Pro Tablet Pc. 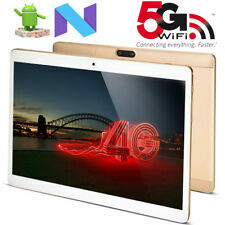 NETWORK : 2.4G & 5G WIFI TABLET PC. Support 2.4G & 5G WIFI / Bluetooth 4.0. OS: Phoenix OS Android 6.0. Phoenix OS Android 6.0. Onda V975M Quad Core Tablet PC other Details Onda V975M Quad Core Weight: 539g. Onda V975M Quad Core Size: 242 179 8.3mm. CPU: Quad Core Amlogic M802 Cortex A9r4 28nm 2.0GHz. GPU : Mali 450 Octa Core GPU. Model V10 Pro. 4GB RAM 64GB ROM. OS: Phoenix OS Android 6.0. OS: Android 6.0, Phoenix OS. RAM : 4GB. Note: keyboard is not included. 1 x Magnetic Port (for External Keyboard). Unique ONDA ROM 2.0 OS based on powerful Android 5.1, distinctive design yet simple operation. Model : V80 SE 32GB. Capacity 4200mAh. Onda V10 Pro Tablet PC. Onda has just released the latest generation of the popular V10 Pro. that's why its equipped with dual-band Wi-Fi. Quad-Core 2GHz CPU, Power VR GPU and 4GB RAM for a lag-free user experience. Onda vi8 pro android Tablet, 10.1", 3GB,64GB,7000 mah. Model : V18 Pro. Capacity 7000mAh /- 150mAh. RAM : 3GB. Music format WAV, MP3, WMA, APE. CPU Allwinner A63 (Cortex-A53 x 4) Quad Core 1.8GHz. Model Onda V10 Pro. 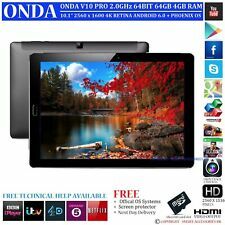 Included 1 xOnda V18 Pro Tablet. and Android 7.1 system.Adopts 3GB DDR3 RAM and 32GB eMMC Storage enable the tablet run smoothly. CPU MTK6753 Octa Core. Model Onda V10 Dual 4G Phablet. Capacity 32GB. Included 1 xOnda V10 4G Tablet PC. Adopt Android 7.0 System. System Android 7.0. 4G B1 2100MHz,B3 1800MHz,B7 2600MHz,TD-LTE Band 38/39/40/41. Unique ONDA ROM 2.0 OS based on powerful Android 7.0, distinctive design yet simple operation. CPU: MTK6753 Octa Core 1.3GHz. Dual SIM card, dual standby, convenient for your daily calling or SMS sending needs. Model Onda V10 Plus. Adopts 2GB DDR3 RAM and 32GB eMMC Storage enable the tablet run smoothly. Capacity 32GB eMMC. Included 1 xOnda V10 Plus Tablet. System Android 6.0. CPU MTK8173 Cortex-A53x2 Cortex-A72x2 Quad Core ,2.0GHz. NEW ONDA OBOOK10 PRO2 4GB 64GB. 1x ONDA oBook10 Pro2 Tablet. DUAL BAND WIFI, BLUETOOTH. Bluetooth, Wifi. Windows OS Languages. You are buying. 1 x TF Card Slot, 1 x 3.5mm Earphone Port, 1 x USB v3.0, 1 x USB v2.0, 1 x Type-C.
CPU MTK6735 Quad Core 1.3GHz. Model Onda V10 4G. Capacity 16GB eMMC. Included 1 xOnda V10 4G Tablet PC. System Android 5.1. 4G LTE-FDD 1920-2170MHz TD-LTE 2555-2575MHz, 2300-2320MHz. Support Wi-Fi, Bluetooth,OTG. Model Onda V18 Pro. CPU Allwinner A63 (Cortex-A53 x 4) Quad Core 1.8GHz. Included 1 xOnda V18 Pro Tablet. and Android 7.1 system.Adopts 3GB DDR3 RAM and 64GB eMMC Storage enable the tablet run smoothly. ●Allwinner A53 Quad Core 1.5GHz ( Cortex-A53 x 4 ). Core: 1.5GHz,Quad Core GPU: Mali-T720. Type: Tablet PC. Provides enough room for your use, can suit all your needs. Accepts compatible cards up to 128GB ( not included ) for easy expansion. 2 in 1 Windows Tablet PC Android, un cilck per riscaldare il boot Windows 10 e Remix 2.0 Android 5.1. OS Windows 10, Android 5.1. Si prega di notare che il cavo di uscita video HDMI non è incluso in questa voce. Allwinner A63 Quad Core. CPU Allwinner A63 (Cortex-A53 x 4) Quad Core 1.8GHz. The A63 chip features a quad core ARM A53 CPU with an independent single core 32KB L1 I-cache 32KB L1 D-cache and 512KB L2 cache.